Distributed by Intergroove Vertriebs GmbH. Mastered by TPH at Schnittstelle. Recorded at Globe Studios Stockholm. The track durations are not printed on the label. It is a rare f**king track indeed that can literally make your eyes water, it's so beautiful. 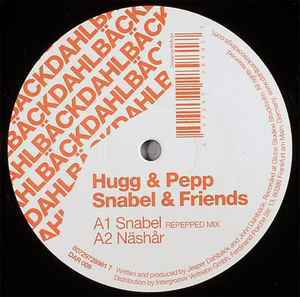 A1 - Snabel (Repepped Mix) is such a track - the type that moves mountains. Sven threw this down at Timewarp Praha in 2005 and it literally felt like the dancefloor was levitating. The production is crisp and easy, the structure is simple and lightly layered, smooth and easy intro rhythm (DJ-friendly), and a tech-trance melody synth line that is just mind-blowing on a warehouse system.